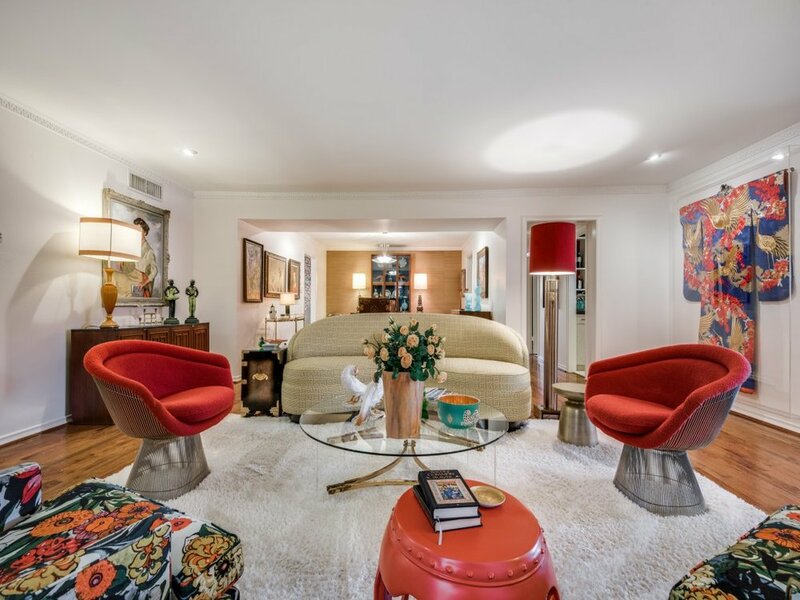 Mid-century modern lovers, look no further! 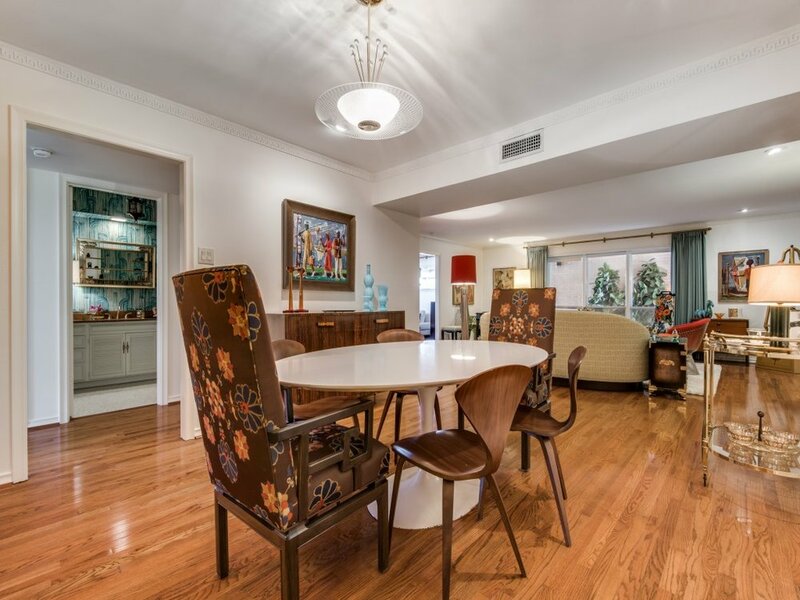 This glam, incredibly spacious first floor condo is owned by a locally renowned interior designer. Location, location, location-->Located behind the Pink Wall, it features an eat-in kitchen, wet bar, large walk in closets, plenty of storage space, 2 car covered parking and a private fenced in patio. 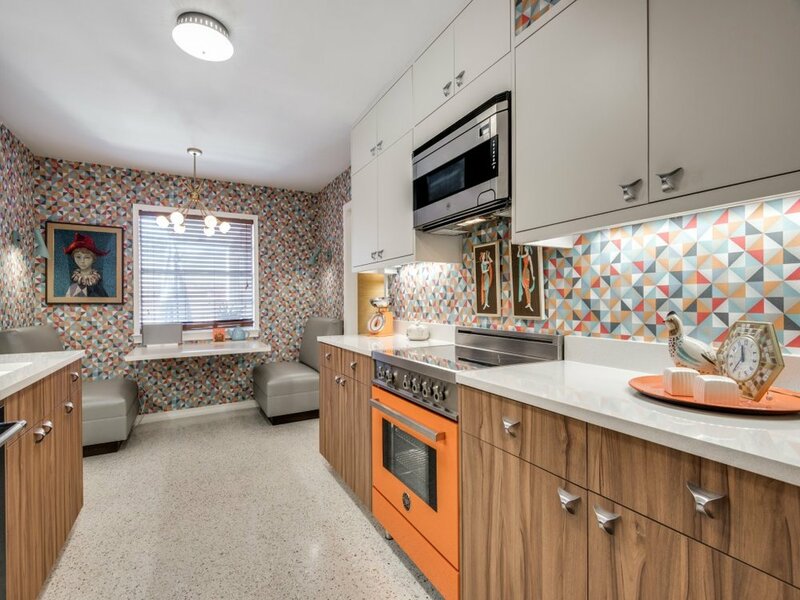 Sit down for dinner at your cozy eat-in kitchen offering a Bertazzoni electric range and microwave in addition to the bold black stainless KitchenAid refrigerator and dish washer. Impress your guests with martinis at the super chic retro wet bar complete with a wine cooler—it’s an entertainer’s dream! 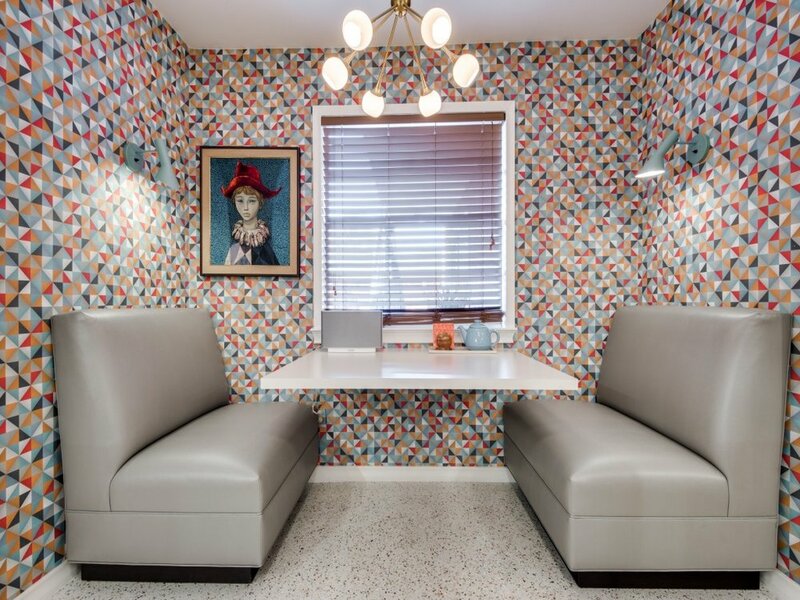 No detail was overlooked when designing this condo. 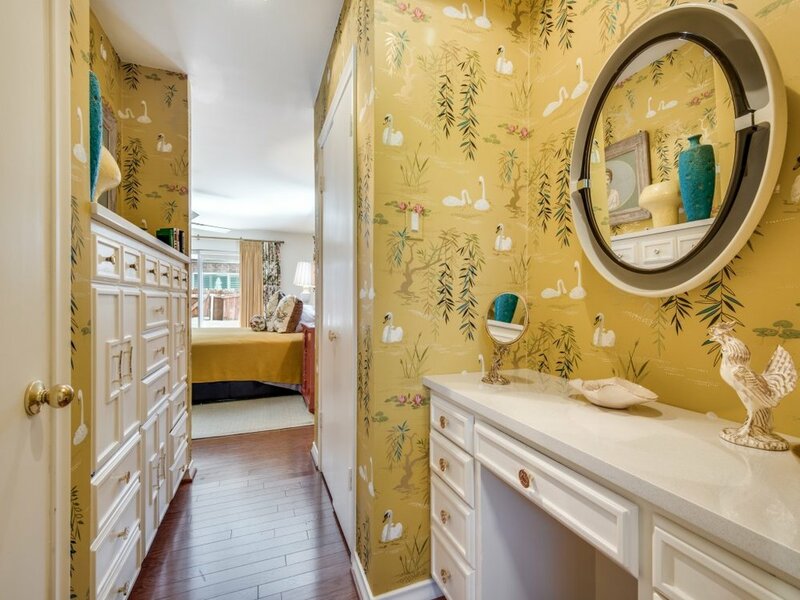 From the light fixtures to the wallpaper— it is killer!